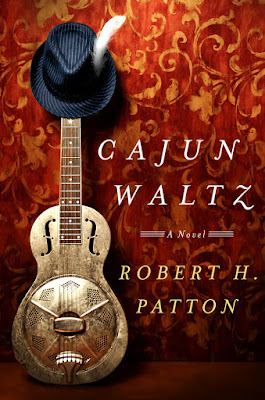 MY BOOK, THE MOVIE: Robert H. Patton's "Cajun Waltz"
Robert H. Patton holds degrees in literature and journalism from Brown University and Northwestern University. He worked as a Capitol Hill reporter, a commercial fisherman, and a real estate developer before publishing his family memoir, The Pattons, to wide acclaim in 1994. He lived in Louisiana before settling in Darien, CT, with his wife. 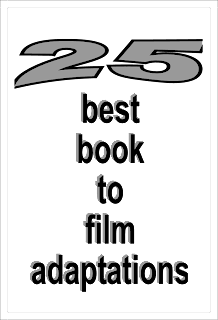 It goes without saying that on aesthetic principle I’m indifferent and indeed hostile to the notion that my book might get snatched up by Hollywood. So yeah, is there an actor out there I’ve imagined playing a character in Cajun Waltz? Only one—and though she’s not an easy get these days, I’m sure if my people call her people and arrange a lunch date, she and I will totally hit if off and work out a deal in no time. The part would be Angela “Angel” Bainard, and the actor would be Beyoncé. Born in Hancock Bayou, Louisiana, in 1915, Angel Bainard is mixed-race Creole and African-American. We first meet her at age thirteen, but the heart of her role occurs in her early thirties. Smart but intemperate, Angel is described in the book this way: “She was selfish and blithe but people adored her, a mystery that made sense once you took her looks into account. Beauty didn’t capture it. Knockout was more the effect.” Of Angel’s part in the tale, the foolishness she inspires in otherwise sensible men has mortal consequences. It’s all her doing, but never her fault. Now about Beyoncé, I can tell you I’ve seen her Super Bowl shows, her National Anthem at Obama’s Second Inaugural, and assorted bits of things on various TV awards shows over the years—but whatever hits she sang to those rapturous millions, my brain somehow didn’t retain them. On the other hand, I remember like yesterday her performance as Etta James in the movie, Cadillac Records, and her stunning rendition of James’s signature heartbreaker, "I’d Rather Go Blind." It’s all instinct with Angel; she has no training or experience. “The girl lays a spell,” someone says of her. Beyoncé has been known to do likewise. Visit Robert H. Patton's website.